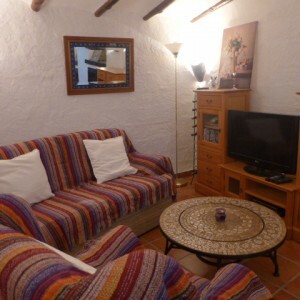 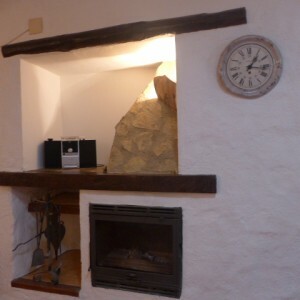 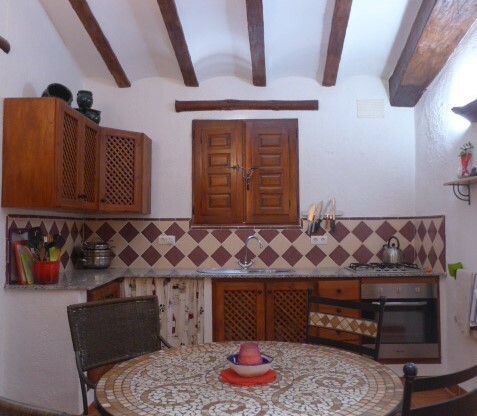 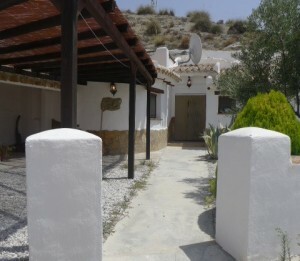 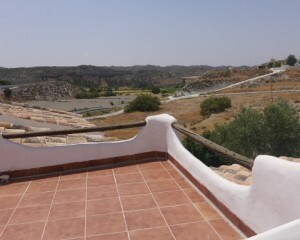 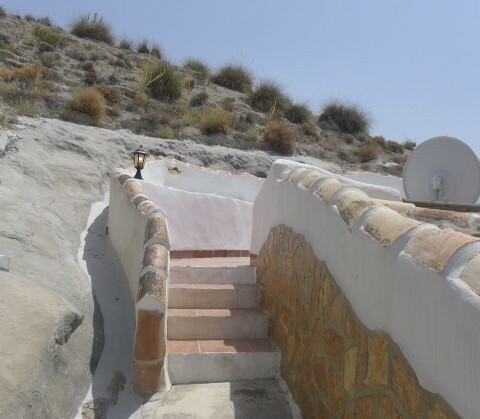 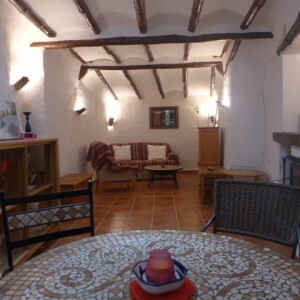 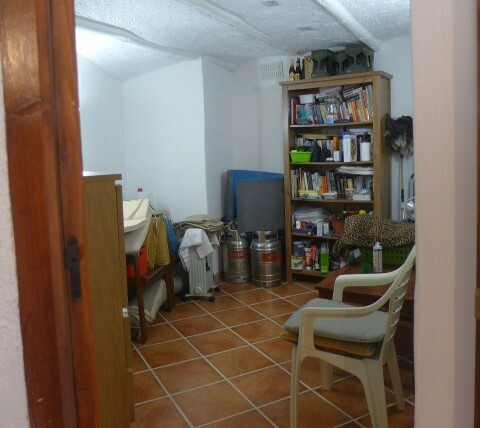 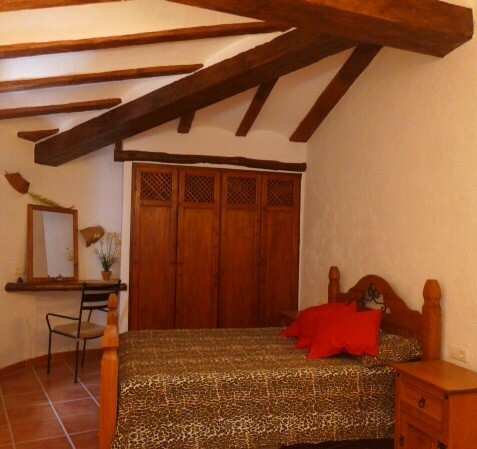 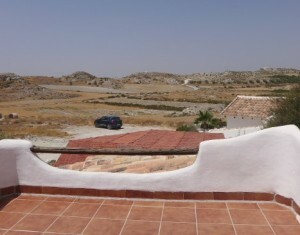 Beautiful 3 bedroom cave house in quiet location just 75,000 euros!! 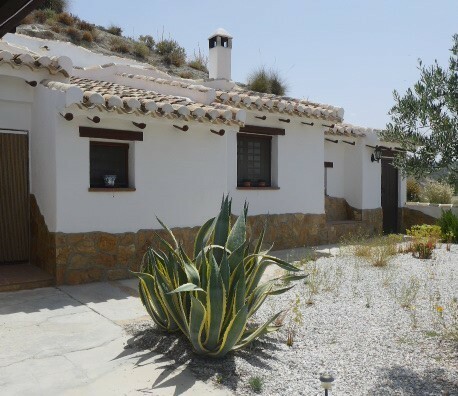 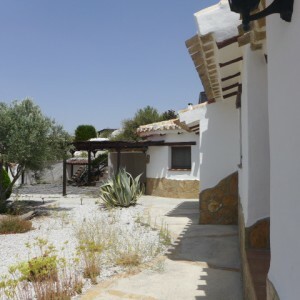 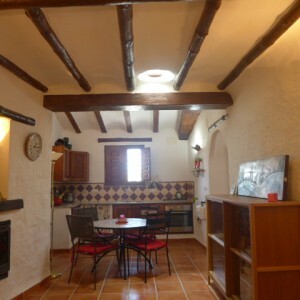 Set back in a beautiful and quiet collection of caves between the unspoilt villages of Galera and Castillejar, this superbly appointed 3 bed cave with wooden beams throughout is ready to move in to with all necessary connections. 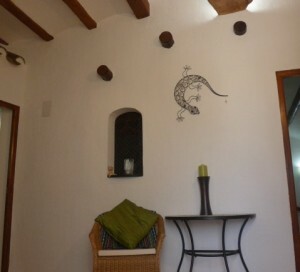 You enter the property into a bright hallway. 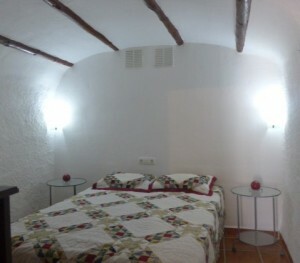 The main bedroom is to your left and has built-in wardrobes and an ensuite bathroom. 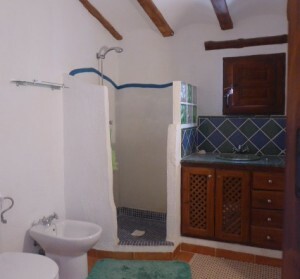 There are two other good sized bedrooms (one currently being used as a storage room), and a further main bathroom. 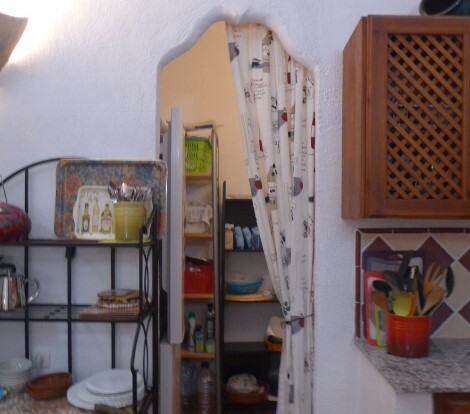 There is an open plan living-dining-kitchen area with log burner, and a pantry / utility room leading off from the kitchen. Outside there is a car port, storage space and a large patio area, and from there are steps leading to a well sized second terraza from which to enjoy the spectacular views. 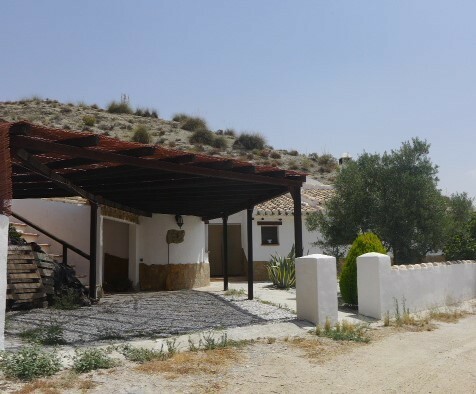 The little hamlet of Cortijo Del Cura is 5 minutes drive away from Castillejar which is a lovely little unspoilt village with beautiful surrounding scenery - the spectacular badlands, the Jabalc�n mountain and Baza and Granada mountain ranges. 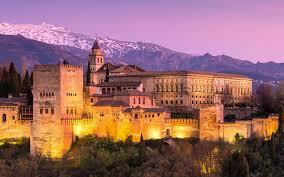 It has all the usual facilities as well as a market on Saturday mornings. 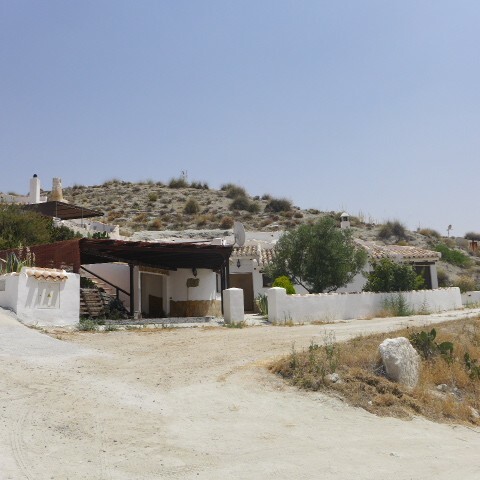 There is a huge open air swimming pool in the adjoining hamlet of Los Olivos (5 mins drive by car) open during the summer months. 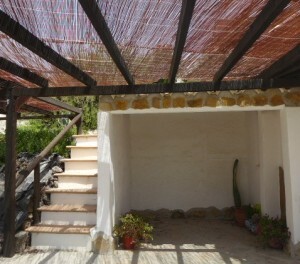 A great place for outdoor activities, art and photography, etc.